USL Spotlight took a week hiatus last week as the fingers behind the keyboard of the project went on a whirlwind tour of the South showcasing his newborn daughter to the in-laws. Needless to say there was some difficulty finding time and a quite spot to put together a good article for the week. However, I am home again and the spotlight has been repositioned on USL Pro for the second USL Spotlight article on MLSReserves.com. Much like the article from Week 1, this week’s spotlight is on another historic moment for USL. It is focusing on the first inter-league matchup between an MLS Reserve and a USL Pro side in a competitive fixture that counts toward both league’s standings. It was the first competitive fixture between MLS and USL Pro as part of the new groundbreaking player development partnerships the two leagues forged this off-season. 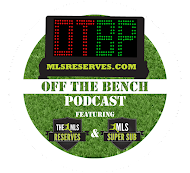 The other side of the partnership was an agreement to send MLS players on loan down to a USL Pro side with a club that the MLS side has entered into a developmental affiliation with. You can find more details here. The matchup this past weekend took place between the Portland Timbers Reserves and USL Pro’s other new franchise, VSI Tampa Bay. This was Tampa Bay’s second match in its early history as they battled the LA Blues in Week 2, which also held a couple of historic moments for the club. Along with earning their first win in franchise history, Midfielder, Antonio”Netinho” Neto scored the club’s first ever goal. However, VSI Tampa Bay’s second match would not prove as successful. 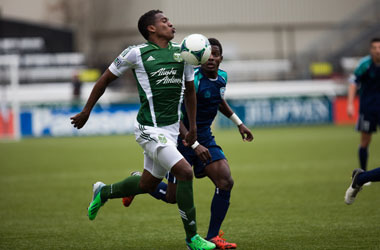 They would go on to lose the match by a score of 2-1 as Portland’s Antonio “El Trencito” Valencia scored the winning goal for the Timber’s in the 81’. You can find a complete match recap here or full match stats here. Tampa Bay will have to wait until Saturday June 1 to enact their revenge as the two teams will do battle for the second and final time in Tampa Bay as part of the Home and Away two-leg competition. These are just a few quick benefits of this new partnership. Gone are the days of MLS Reserve teams mostly playing in front of sparse crowds, receiving practically no coverage, and playing in games with arguably less competitive motivation. Supporters of both teams now have an opportunity to view matches that have a new sense of importance and grandeur, as both teams compete for a number of different motivational reasons.